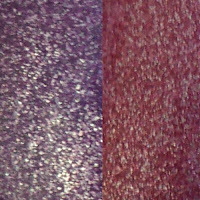 Love Varnish: Are you in the mood? This week I am showing you a very special kind of polish. Some of you may know that Deborah and I wrote 2 guestposts for Bregje over at Oooh, Shinies! a while ago. I wrote my post about the moodring manicure with CND effects. 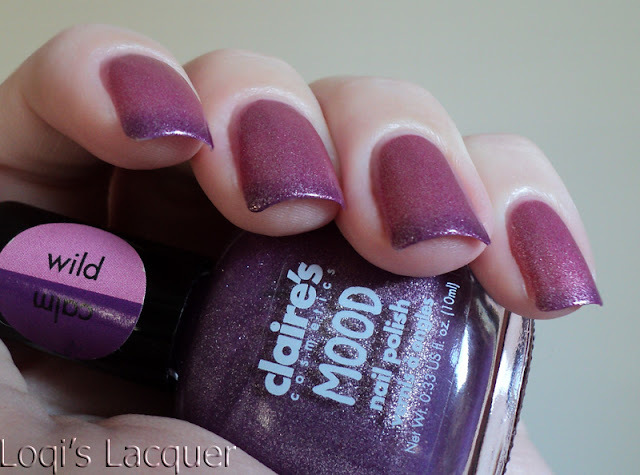 Of course this manicure does not really change colours according to temperature, but there are polishes that do: Claire's moodpolishes. Most of you probably know these polishes already, but I thought I'd show you anyway since I only got my first one 2 weeks ago. 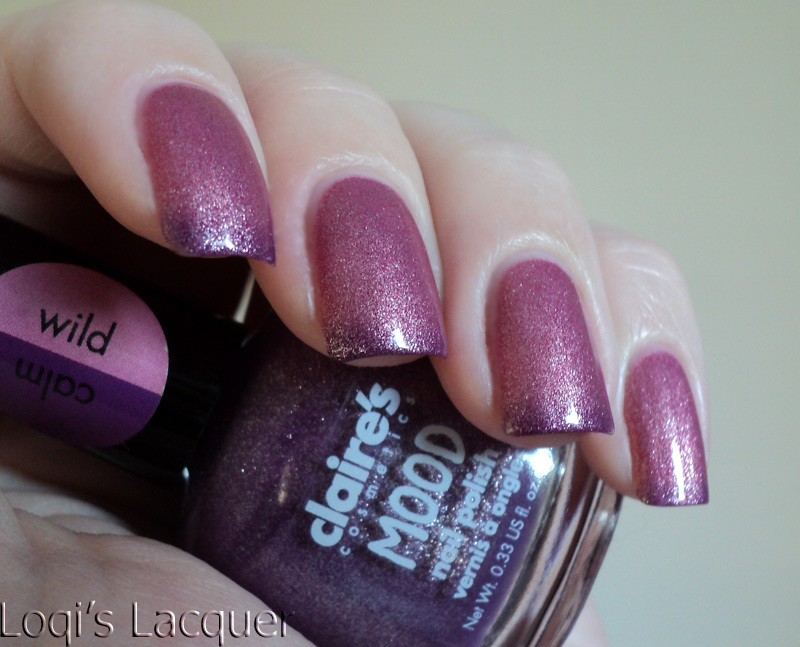 I missed out on the mood-polishes when they first came out, so I am glad I was able to get one now. The name of this polish is 'Calm/Wild' and it changes from purple (cold) to pink (warm), giving the effect of a gradient French manicure. 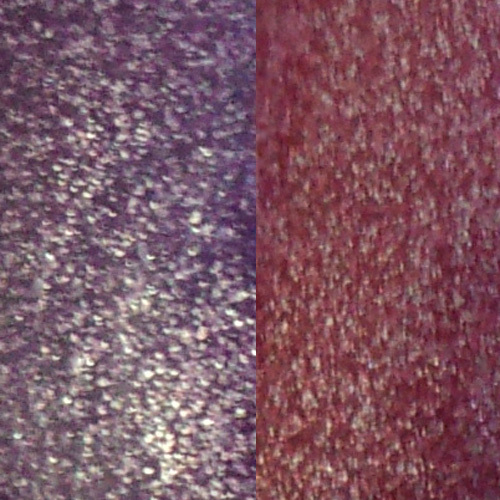 I really love this look and it's a lot of fun to play with hot and cold water while wearing this polish. I know that Claires is not the only company making these polishes, but still you don't see them very often. I really wish they would be produced more and by other companies, don't you? Love the effect it gets on the tips! We don't get Claire's in Italy but this one sure is in my wishlist!